TRAFFIC OPERATIONS UNIT INVESTIGATING SCHOOL BUS ACCIDENT: On October 26 at 9:12 a.m., officers responded to Poplar Hill Road at Mattawoman Beantown Road in Waldorf for the report of an accident involving a school bus and a dump truck. Upon arrival, officers located the bus which had 17 students on board as well as the bus driver. All occupants of the bus were transported to a hospital for evaluation and some with minor injuries. Charles County Public Schools Officials were on the scene assisting students. The operator of the dump truck was uninjured. Initial investigation revealed that a State Highway Administration (SHA) truck with a trailer attached had stopped in the right lane of Southbound Mattawoman Beantown Road to off-load equipment. 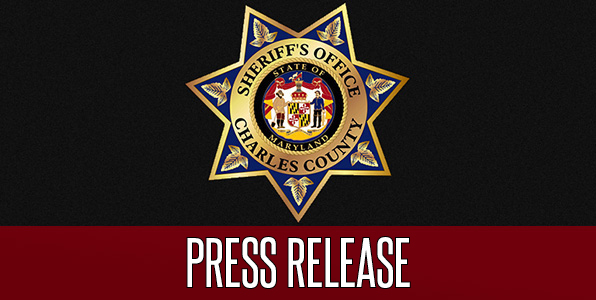 An occupied Charles County Public Schools bus was travelling south on Mattawoman Beantown Road when it came around a curve and saw the stopped truck and trailer. The bus driver was unable to change lanes due to heavy traffic and stopped behind the SHA truck. A fully-loaded dump truck was behind the school bus, and when the driver saw the stopped vehicles he also attempted to stop. The driver of the dump truck made an effort to change lanes unsuccessfully, striking the left rear corner of the bus with the front right of the dump truck. The Traffic Operations Unit is investigating.